Islanzadi was born at the end of July and is a very spunky little kid. She is well built, long and level and has tons of width and depth throughout. 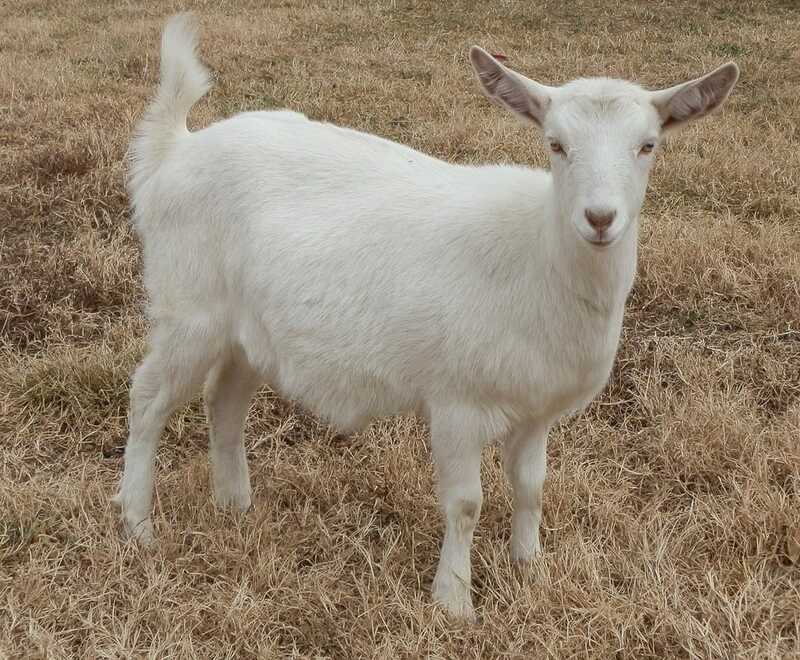 Her twin brother was a Sable and is now living in Missouri at Ark of Angels Dairy Goats.